BMS is new but very experienced. Run by old school contractors who have years of experience where it counts, hands on, in the field. From scoping and planning and estimating to value engineering and close-out, every facet of your job will be well managed. Together we have more than 500 projects executed in commercial and residential environments. When BMS takes a job we make it personal. If it’s got our name on it, we will make it the finest example of our work possible. That is the craftsman in us all. You deserve nothing less than our very best. 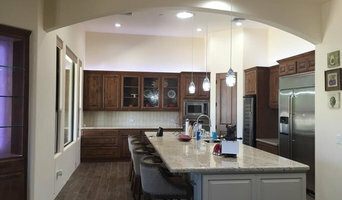 Nehemiah Builders INC. specializes in Phoenix and Scottsdale home remodeling and improvement projects which include room additions, kitchen remodels, bathroom remodel, basement remodeling, and exterior renovations. From years of experience, we’ve gained a solid reputation as a home builder / remodeler and a commercial full service contractor. Our knowledge and expertise have taken us through difficult projects with outstanding results. We understand how important trust is in a contractor/client relationship. Our clients rely on us to serve on their behalf ethically and responsibly. We have 30 years in the construction industry with a record of integrity, expertise and customer satisfaction. Our commitment to this is proven by the continuous return of our clients and their referrals. Our clients value the relationship we build with them and recognize our commitment to quality. Artistic Builders and Design's mission is to bring Superior Craftsmanship to our clients homes. We not only serve as a contractor, but also a friend, confidant, and Professional consultant. We are diligent in bringing our customers the best price possible. We pride ourselves with our attention to detail, flexibility, and commitment to excellence. Artistic Builders and Design clients become repeat buyers because they can count on quality from start to finish. David has put together the right team of professional people so that all projects are ran as professional as possible. David encourages his customers to get a hands-on view of his work. Our goal with each client is to develop a trusting relationship that results in the satisfaction of a job well done. Beautiful, durable and completely customizable, we manufacturer and install Arizona and California's original high-quality, stone veneer. Operating in the valley for more than 30 years. Here at Fantasy Stone & Tile, we turn your fantasy home into reality. You dream it, we build it. With 20 years of industry experience, we let our quality of work speak for itself. We also build relationships with our customers on a level that is unmatched. Give us a call about your project today. At Vive Construction, our extensive experience spanning over 20 years means that we are efficient, productive and knowledgeable in our field. We specialize in building custom Home Remodels, Additions, Man Caves, Pools and Spas, Landscape & Hardscape. Our clients rely on us to do our part in the building process efficiently and responsibly. We have a strong reputation of integrity, expertise and strong customer service that we bring to all of our projects. We are a custom Design Build General Contracting Co. We offer interior and exterior designs of homes, as well as Landscaping. We work hand and hand with the homeowners to perfect exactly what style they are looking for! All the way from concept to the final clean of your newly designed area we are with you! Large Renovations, Kitchens, Bathrooms, Fireplace features, Paint, Roofing, Flooring, and A/C repairs, we are your "one stop shop"
I founded THRIVE with the intent to provide clients with a dynamic partner who will work personally with you to achieve results. These results are our priority and why we love to concentrate on purposeful building…. It’s about making a difference in the construction community by enhancing what has be built previously and encouraging adaptive reuse. We aren’t your big box construction firm who believes in getting as many projects as possible. Instead we limit the number of projects we take on, so we can solely focus on the quality we believe each project deserves. Another main reason for starting my own firm was to be able to give back to the community in a way I want to. Proceeds from each project will go towards the future foundation of “Make it Count” which will provide scholarship funds to young people suffering with juvenile rheumatoid arthritis. Want to know why? Take a peek at www.makeitcount4dani.com. I love construction, but more importantly I love to make a difference. I look forward to helping you achieve results! Make it Count! 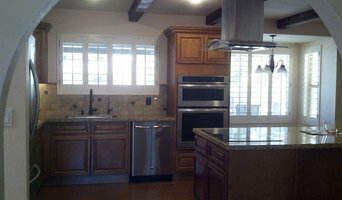 We build and remodel homes, do beautiful carpentry and moulding installs, remodel bathrooms and kitchens.....you name it. 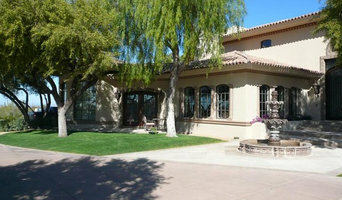 We are Phoenix’s premier glazing contractor. We have developed a reputation for producing high quality work at an affordable cost. As a result, commercial and residential property owners continue to turn to us for all their glazing needs. We provide a complete range of services, including custom entrances and storefronts, commercial windows and doors, cladding, aluminum panels, glass curtain wall systems, and mirrors. At Craft’s Quality Glass we tailor our services to meet the needs of each project. We employ experienced project management, staff and labor in the field.